A Mechanics' Lien is an effective remedy for contractors, subcontractors, material suppliers and others involved in the construction or improvement of real estate to resolve payment disputes. If a labor or material provider records a Mechanics' Lien against the subject real estate, the owner may be unable to sell or refinance the property without first paying off the debt secured by the lien. A Mechanics' Lien can therefore trigger payment to the lien claimant. However, because a Contractors Lien is one of the few involuntary liens permitted on real estate, the requirements to claim a lien are complex and technical. Experience and knowledge of Illinois Mechanics Lien law is critical to enforcing your rights and attaining the best possible results. Contact a Chicago mechanics lien attorney to obtain information about your rights. What if you are involved in a public construction project? Illinois law forbids filing Mechanics Liens on public property. However, subcontractors or material suppliers can place a Mechanics Lien on the funds the governmental entity owes the contractor. Illinois law requires contractors to obtain payment bonds for public projects which can protect subcontractors and material suppliers who file bond claims against the sureties. 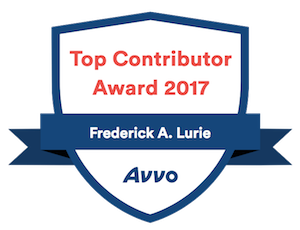 Find out if you still have bond claim rights by contacting The Law Offices of Frederick A. Lurie. A number of problems can arise when a Contractors Lien is filed against your property. You may have to pay twice for the same work. You may be unable to sell, mortgage or refinance your property. A foreclosure suit may be filed and the property sold by court order to satisfy the debt. 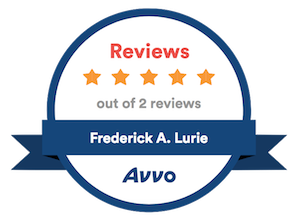 If a mechanics Lien is filed against your property, Contact The Law Offices of Frederick A. Lurie and we can help determine if the Lien is valid and enforceable. How can you protect yourself? Property owners can avoid Liens by insisting on proper documentation when signing construction contracts and before issuing any payments. Whether using a construction escrow or managing your own payments, obtaining contractors statements and lien waivers can be critical in preventing Liens on your property. Contact us and a Chicago mechanics lien attorney can review contracts and help design or review documents to help you avoid enforceable Liens. These materials have been prepared for informational purposes and should not be considered legal advice or a legal opinion on any specific set of facts or circumstances. Receipt of this information does not create an attorney-client relationship. You should not act upon this information without seeking advice from a licensed Chicago mechanics lien lawyer. Do not send confidential information until you speak with someone in our office. Communicating with this office (via e-mail links on this Web site or otherwise) does not create an attorney-client relationship.